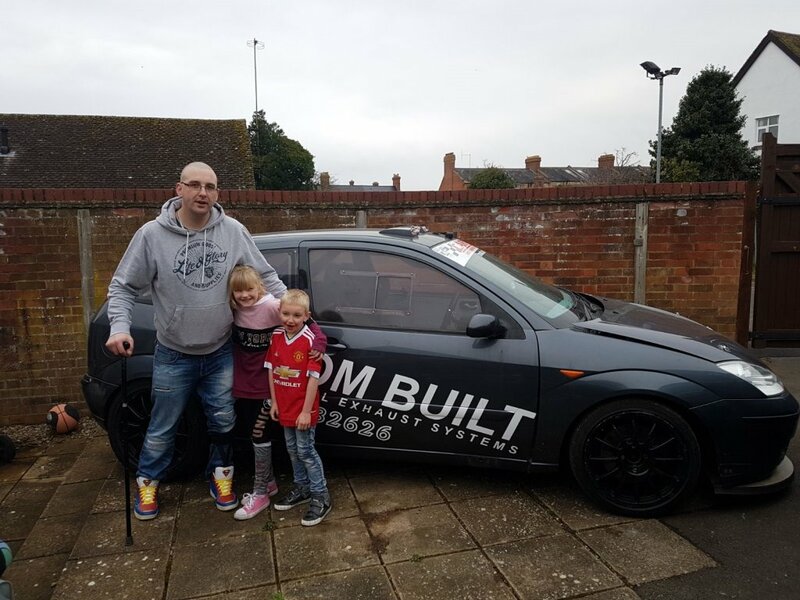 In just over two weeks time Cerebral Palsy sufferer Chris Carter hopes to turn his dreams into reality by starting his first saloon car race at Castle Combe Circuit in Wiltshire. But the 36-year old father of two from Evesham needs a miracle to find the final £500 that will get him onto the starting grid. His quest has already inspired 1996 Formula One World Champion Damon Hill, who supported the initial racing lessons Chris needed to gain his National B Racing Licence, but he still needs more backers to reach the final amount. Chris impressed the racing instructors at Silverstone Circuit, home of the British Grand Prix, when he spent the day training and qualifying for a national B Race Licence. He then decided to go all-out and buy a 200bhp Ford Focus ST racing car and set his sights on competing before the end of the 2018 season. Unusually for a disabled racer, Chris’ two-litre race car is not significantly adapted and could be driven by an able-bodied driver. “I did a static brake pressure test in a British Touring Car Championship Race Car recently and surprised the team as I had enough leg power to use a standard brake pedal.” Chris said. At the same time Chris met Nicolas Hamilton, brother of four-time World F1 Champion Lewis, who despite also suffering from Cerebral Palsy has pursued a successful saloon racing career. “Nic has been a great help with advice as he knows it takes more determination as a disabled person to put yourself out there and become a successful racing driver”, commented Chris. Chris is hoping to race his Ford Focus ST in the Castle Combe Grand Finale meeting on Saturday, 15th September but still needs help to cover entry fee, fuel and transport costs.